Girl's festivity headdress made of thick woolen cloth and decorated by a great lot of beads whose ornament symbolizes ancient Chuvash beliefs. 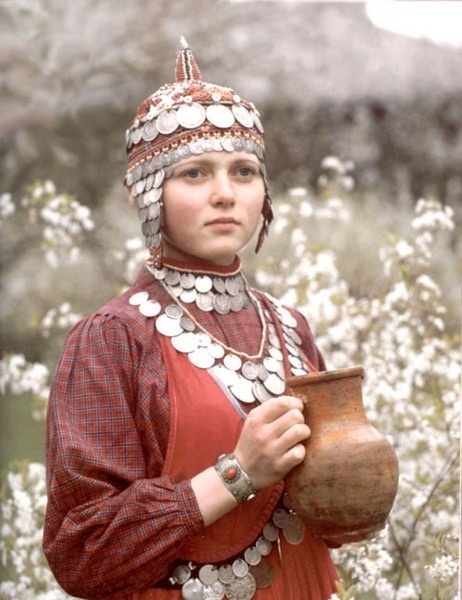 Pendants with coins (these are from the late USSR) are obligatory as a symbol of happiness and prosperity: what else a Chuvash girl would need? Russia, late 20th cent.